Peacefully, at his Tobermory home, on Saturday April 13, 2013 at the age of 76 years. Loving husband of Judy Adams. Cherished father of Debbie (Doug Jane), of Mississauga, Leslie (John Nixon), of Peterborough, Jim Wordley (Lorenna), of Milton; and step-father of Rob Rouse (Carolyne), Jeff Rouse (Marianne), and Greg Rouse (Nicole), all of Tobermory. Proud grandfather of Christopher, Michael, Kevin, Robert, Herlinda, Brittany, Connor, Eric, Natalie, and Alexis. Caring brother of Lois Mantle, of Smiths Falls; and step-brother of Richard Woods (Pat), of London. Sadly missed by his mother-in-law Bettie Adams. Predeceased by his father Murray Wordley; mother Dorothy (nee Sanders); step-father Charles "Bud" Woods; father-in-law Tom Adams; and brother-in-law Jerry Mantle. Cremation has taken place. Family will gather at a later date to celebrate Jim's full and happy life. Donations to the Tobermory Health Services Auxiliary would be appreciated. 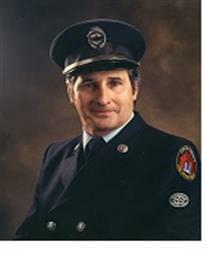 Funeral arrangements completed from the Thomas C. Whitcroft Peninsula Chapel, 272 Berford St., Wiarton, (519) 534-5341.